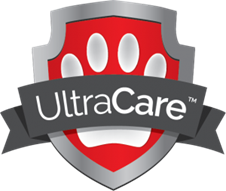 Ultra Care™ = Unconditional, Lifetime Warranty on Entire System! 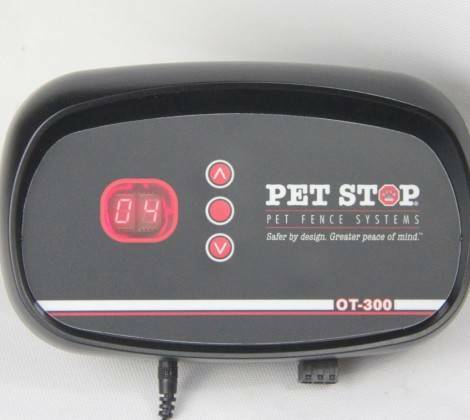 Pet Stop Digital Modulation is Unique in the Electronic Dog Fence Industry, Our DM Technology is similar to that used by the Air Traffic Controller Industry because this delivery signal can communicate multiplied levels (vertically) of information to the Pet Stop Receiver your pet wears. President of Perimeter Technologies, John Purtell, “In practice it is how the signal is processed (talking about the Pet Stop Advanced Technology Receivers) that creates the security of the signal. All Pet Stop receivers incorporate processing that discriminates signals to prevent false activation.” Pet Stop Receivers are all Bi-Functional in that they 1.) Seek our Digitally Modulated Signal (insure 100% accuracy in activation) and 2.) Reject any Aberrant Signal (Guaranteeing that no false activation will occur by Pet Stop’s State of the Art Technology programed into every Pet Stop Receiver. President John Purtell, “Aircraft radios use amplitude modulation (AM) rather than frequency modulation (FM). The advantage of AM is that a listener can hear two simultaneous transmissions on the same frequency. With FM, only the stronger one can be heard. There’s less risk of misunderstood communication with AM, which is a safety consideration in crowded air space. The small yard ¼ to 1/3 acre can present a special challenge to the 360 degree use of your dog’s new invisible dog fence. On smaller lot sizes and townhomes, the distance between houses and around HVAC systems can prevent your dog from walking down the side of yourhome to get into the back yard because the space between your home and the Boundary Wire’s Signal is too narrow. Pet Stop’s new “Edge to Edge” Technology fixes this challenge through our newest Receiver Programing Option. Instead of the normal 5-6 foot width, as seen in the picture left, of other Pet Containment Systems’ signal, Pet Stop offers a width of 10-12 inches. Due to property lines and your counties leash law, coupled with your neighbors desire not to have your dog in his yard, Pet Stop’s “Edge to Edge” is preferred over Invisible Fence Brand’s BoundaryPlus™. As their product name suggests, your dog can actually leave your yard by three feet or more and then experience a shock for up to 30 seconds to try and turn your dog back into your yard. If this does not work the dog is “out of his yard” and may not come back for hours. We believe that Pet Stop’s Edge toEdge™ Technology is the correct answer to solving “small yard” challenges. Pet Stop gives your dog the most yard possible through “Edge to Edge” invisible dog fence technology. Programmable Progressive Feature – Smallest Dogs, Tickle Pulse, Puppies to 12 wks. Through a Gentle Steps™ approach the smallest dogs and even puppies down to 10-12 weeks can be safely contained. Our programmable collars can activate so gently that the smallest Miniatures or even Puppies and Cats can wear our collars and be safely contained. Give Mike a call at 404-536-6770 to talk about containing your “super small” family pet. The Eco-Lite®, at a small ¾ ounce (smallest/lightest in the Industry) is the perfect collar for dogs as small as 2.5 pounds. We are certified by Comprehensive Pet Therapy® and the American Kennel Club® as professionally trained dog trainers and are highly qualified to work with you on the safe containment of the smallest member of your family; we know what we are doing with your “little friend”. The stimulus occurs in reverse as well; as your dog turns away from the Boundary Wire, the Dog’s Receiver begins to deactivate encouraging your dog that he is moving in the correct direction. With Pet Stop Brand, for little dogs, the pulse is programed to be progressive; as the dog approaches his fence the pulse increases. If your dog turns out of the Smart Zone right away they only get a “Tickle”.